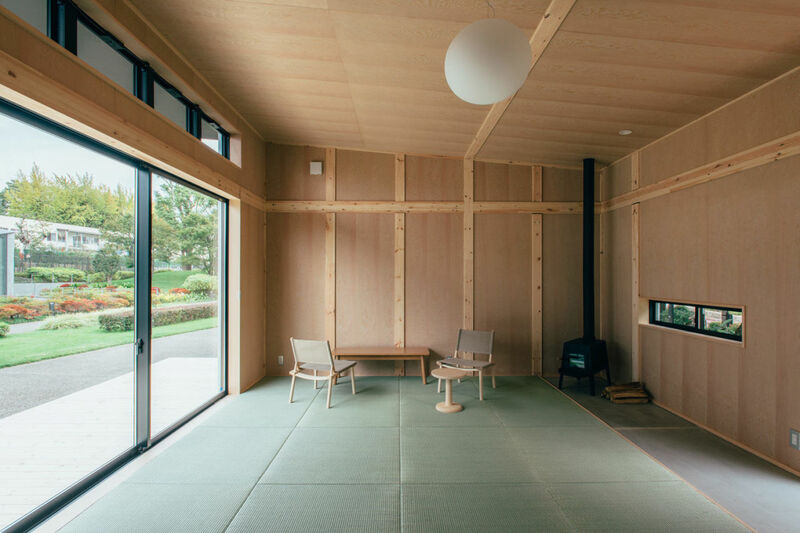 Aficionados of MUJI love the brand’s minimalist design, based on the Japanese concept of “su,” which means plain or unadorned. 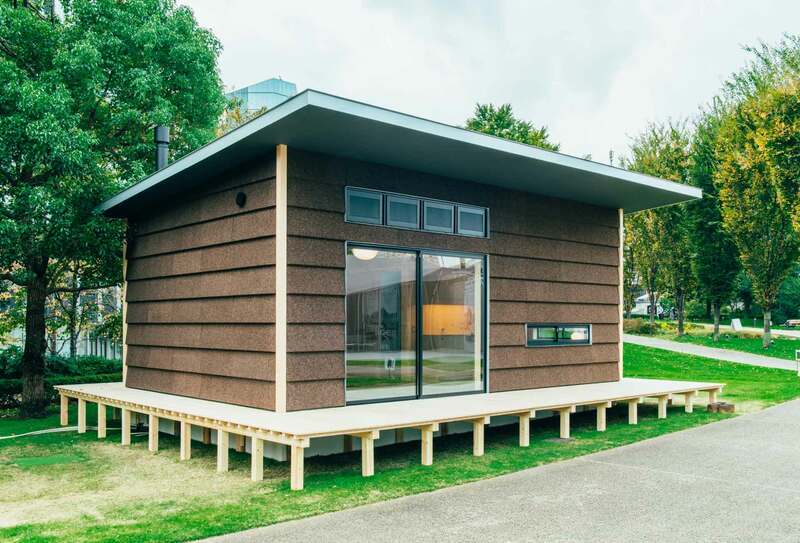 Now the lifestyle goods chain has released Muji Hut, consisting of three tiny prefab houses described as escapes “from the hustle and bustle of the city.” Presented at Tokyo’s annual Design Touch event, the three little micro homes were designed with the help of Konstantin Grcic, Naoto Fukasawa and Jasper Morrison, thus Japanese minimalism meets other contemporary visions. For instance, you find a German industrial aesthetic via Grcic, who did the “Hut of Aluminum” (see above). 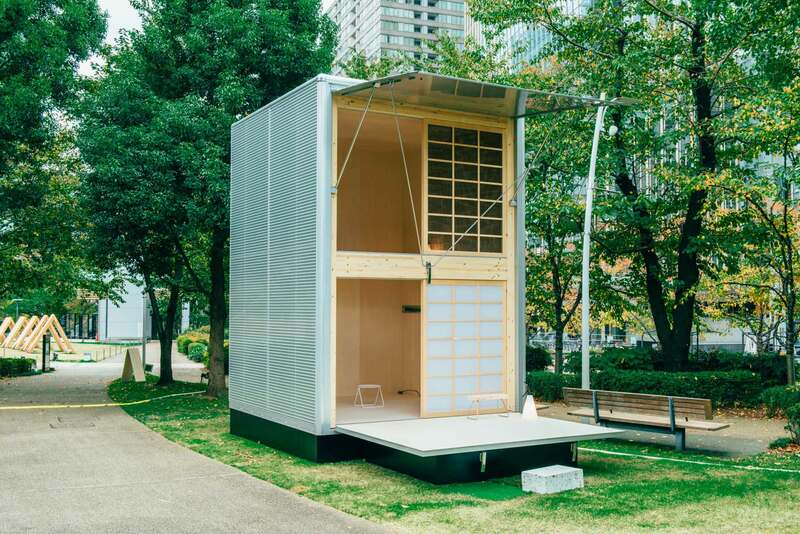 This compact hut, measuring merely 3×3.3×4.5 meters, is rather basic, much like an aluminum container – not so much designed for actually living in it but as “just a space.” As Grcic said: “There doesn’t have to be water or electricity. It is just a space for doing something. For example, if you are a painter you may use it as a studio.” Nevertheless, the hut has two stories and its walls are insulated with foam. It is a solid structure that can be placed in a variety of locations. 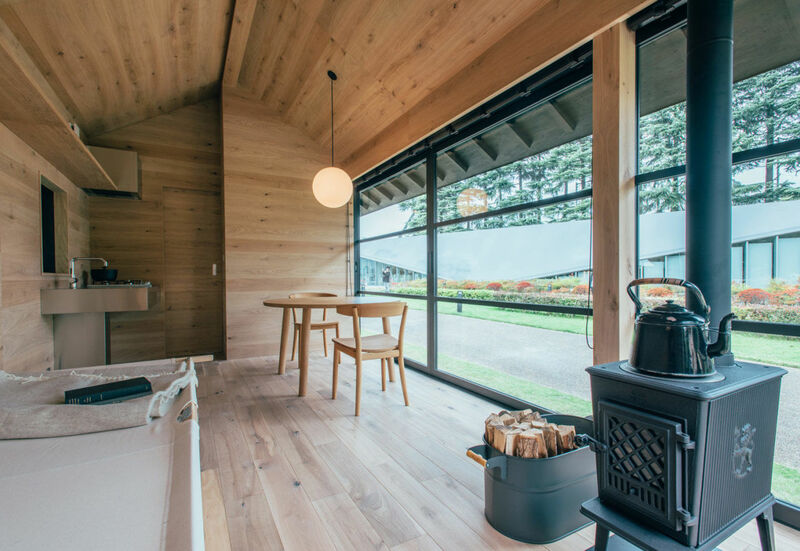 Then there’s the log cabin-like “Hut of Wood” in collaboration with Fukasawa (see below), which comes with a pitched roof, traditional Japanese bath, wood-burning stove and large sliding glass panels. Morrison’s “Hut of Cork” (see below) could be an affordable holiday home or weekend escape by the sea, in the countryside, close to some hot springs or whatever the user envisions. The artist was inspired by his own desire to get away without having to build a whole new vacation home. All three prefab huts are easy to set up in various locations. 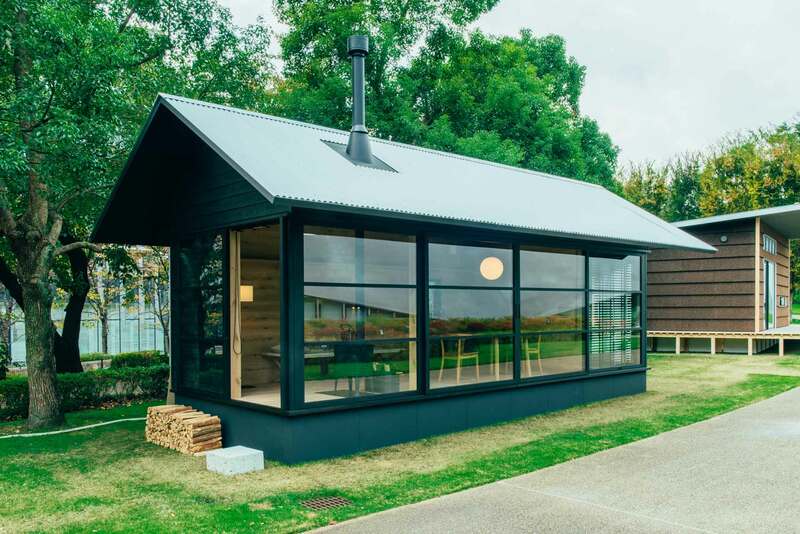 Prices for the minimalist dwellings range from $25,000 to $40,000. They’ll be available for purchase starting in 2017. MUJI was founded in Japan in 1980 in reaction to over-the-top consumerism while at the same time the market was being flooded with cheap, poorly made goods. MUJI is a combo of “no brand” (Mujirushi) and “the value of good items” (ryohin).